"First of a kind commercial Compact system for the efficient Recovery Of CObalt Designed with novel Integrated LEading technologies"
Crocodile is a project (GA 776473) co-funded by the European Commission inside the Horizon 2020 (H2020-SC5-2016-2017)programme and aims to recovery Cobalt from a series of WEEE wastes. In particular, the project, which stared in mid-2018 expiring in 2022, aims to demonstrate on a large scale the innovative metallurgical process integrated, which uses different specific technologies to maximize the recovery of Cobalt. Support for the realization of the business plan. MEMBER is a project co-financed by the European Commission (GA 760944) inside the Horizon 2020 programme (Call: H2020-NMBP-2016-2017). This project will last four years, from January 2018 to January 2022. The key objective of the project is the production and replicability of both advanced materials and new technologies (membranes and sorbents) to be used in power plants for the relative capture of CO2 and for the production of H2 during the pre- and post-combustion phases. Based on the experience of Eco Recycling on the end of life of Pd-Ag membranes treatment acquired in a previous national project (HYRPAM), it will focus on the recyclability and sustainability of the membranes advanced materials constituent. An experimental activity on a prototypal scale will be done to determine the ideal technology for recycling and regenerating of membranes. Test the optimal techniques found and study the recovered support, which will be analyzed after this treatment in perspective of their reuse/recycling. New membranes will be manufactured on these supports and their properties will be measured and compared with the original membranes. 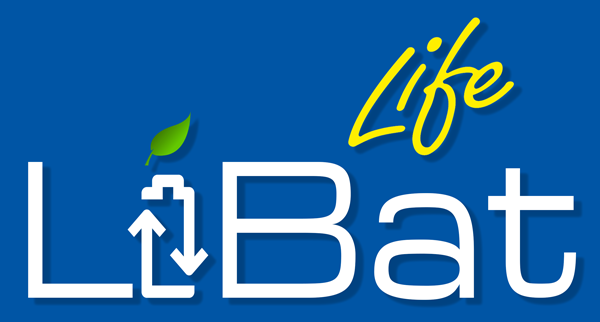 LiBat (LIFE16 ENV/IT/000389) is an EU LIFE+ funded with the aim to demonstrate an innovative process for the recycling of end-of-life primary Lithium batteries. The only plants currently operated in Europe use pyrometallurgical processes, while the proposed process integrates a mechanical pre-treatment section with a hydrometallurgical treatment section. This process derives from the collaboration between Eco Recycling and the HTR center (High Tech Recycling, Department of Chemistry of the "La Sapienza" University of Rome). This solution allows achieving, in line with the EU Directive 2006/66/EC, a recycling efficiency of primary lithium batteries larger than 50% and ensures energy consumption and environmental pollution impact significantly lower than those achieved by implementation of pyrometallurgical processes. Design and construction of a pilot plant capable of processing 50 kg of batteries/day. e.THROUGH project (Call: H2020-MSCA-RISE-2017) (February 2018 to January 2020) has the ambitious vision of turning the challenge of CRMs dependence into a strategic strength for Europe, contributing towards declassifying some CRMs (critical raw materials), as tungsten, indium, gallium and chromium. Transferring newly generated knowledge to stakeholders, both for policy development and standardization and for shaping responsible behaviors. e.THROUGH is an intersectoral and interdisciplinary consortium of EU & Third Country partners of leading institutions that see waste as a resource to recover CRMs, influencing the whole value chain. By training human resources in CRMs´value chain, their recovery, recycling, further reuse and LCA, they become the much needed young and senior scientists and engineers for the growing EU CRM industry. The consortium comprises 40% industry and 60% research partners. Photolife (LIFE13 ENV/IT/001033) is an EU LIFE+ funded project with the aim of recovery of glass and main values from end life Photovoltaic panels. The scope of the project is the construction of a pilot plant and the experimentation of the innovative process for the full recovery of different kind of PV panels. Eco Recycling is Coordinator of the project, the designer and the builder of the pilot plant. The project started on 1 June 2014 and finished on 31 August 2017. This project includes Eco Recycling and the HTR center (High Tech Recycling, Department of Chemistry of the "La Sapienza" University of Rome) involved in the continuation of the activities already co-financed by the EU with the HydroWEEE project (Call ID "FP7-SME-2008- 1). This project began in October 2012 and ended in March 2017. The processes previously developed for the recovery of base and precious metals from WEEE have been further optimized to increase the purity yield of the recovered metals (cathode ray tubes, lamps, printed circuits, LCDs, batteries). The main objective of the HydroWEEE DEMO project was to build two demonstration plants on an industrial scale: a fixed one installed at Relight Srl in Rho (MI) and one mobile. 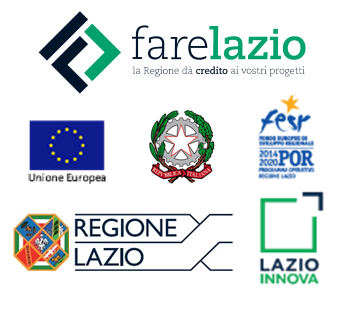 The project aimed at testing the processes already developed, verify their performance and demonstrating feasibility from an integrated (technical, economic, operational, social) point of view, also taking into account the risk assessment (including health) and the benefits for society and the environment, favoring then a wide diffusion on the market. The demonstration objectives were successfully achieved when the fixed plant worked continuously for at least 18 months; in the same way, the mobile plant has been transported through at least 5 locations in at least 3 countries in Europe (Italy, Romania, Serbia). HydroWEEE (2008-2012) is a project co-financed under the FP7 calls (Seventh Framework Program of the EU) aimed at supporting SMEs (Small and Medium Enterprises) in research and development activities (Call ID "FP7-SME-2008- 1). The industrial leader of the project was the Austrian company SAT in Vienna, while Eco Recycling, scientific leader, was involved in the design and construction of a mobile pilot plant for the recovery of base and precious metals from WEEE and the related experimental campaign. Indio recovery processes from LCDs. "Processo innovativo ed integrato per la produzione di BIoPellet a partire da scarti Amidacei"
The BIPAM project falls within the sector of the Circular Economy and aims at the development and implementation of an advanced and integrated transformation process that allows the production of totally biodegradable and compostable pellets using as raw material the starch extracted from food waste (potatoes) and algae (produced using wastewater). 3. Optimization of the reactive extrusion process and production of fully compostable biodegradable pellets. Therefore, within the project, a "zero waste" process will be realized, which fits perfectly within the concept of the circular economy; furthermore, a technical and economic feasibility analysis will be carried out (cost-benefit analysis) with a view to the realization of a full-scale plant. The project involves four partners: Eco Recycling, BIO-P, HTR (Inter-University research center), and GA Energy; will have a duration of 17 months, starting from 3/12/2018. The project (CUP code F23D16000050009) concerns the consolidation and strengthening of the general activities of the company. The purchase of essential accessories for the operation of prototypes (eg tanks for the collection of process waste and washing water). O.RI.FO is a project born after a project co-funded by the EU (PHOTOLIFE, life project) during this project a process for the treatment of photovoltaic modules at the end of life was developed and a prototype-scale plant was built. During the O.RI.FO project, a new physical treatment unit for the treating of the fine fraction of the glass will be designed, realized and tested and an experimental campaign to increase the recovery of the plastics will be realized; the purpose of the project is to carry out a drafting of a complete business plan suitable for a full-scale plant construction. The fine fraction of the glass during the PHOTOLIFE project has been treated using chemical processes, in the present project an alternative treatment is proposed: a physical treatment realized through an iron separation unit and an eddy current system, this new prototype line will be used to clean the glass and separate it from metals, this alternative treatment will provide significant economic and environmental advantages. In this regard, a large experimental laboratory campaign will be carried out by the HTR research center. The experimental campaign will also aim to perform tests to remove the solvent in order to allow the design of the solvent recovery unit indispensable on a full-scale plant. The project involves three partners: HTR (Inter-University research center), Eco Recycling and GA Energy; will have a duration of 24 months, starting from 19/01/2018. HYRPAM is a project financed under the POR FESR Lazio 2007-2013 calls for the Public Notice 'Win together' (2014-2015). The project aim was the development and optimization of a hydrometallurgical process aimed at recovering both the support and precious metals present in the membranes based on Palladio/Silver. This process was developed following a technical-economic evaluation of the entire life cycle of the same membranes and a pilot scale plant was realized. The design and construction of a pilot plant suitable for treatment. The aim of this project (2012-2014) was the development of processes for the production, through electrochemical techniques, of nano metal materials based on copper and cobalt starting from leaches from the hydrometallurgical treatment of special waste such as WEEE and/or batteries. The main aims of the project were the identification of the operating conditions for the production of materials in a structured nano form, the scale-up of the process and the realization of a suitable pilot experimental system with advanced monitoring systems for the control of process parameters. In order to implement an efficient data analysis monitoring, a specific online survey system has been integrated to improve the expected objectives. This system consisted of both HW components for data collection and collection, as well as software for processing and analysis. The system, as a whole, has provided the possibility to automate the phases of control and management of complex electrochemical processes in full scale. In recent years the nanomaterials market has undergone strong expansion due to the interest of pharmaceutical industries, catalyst producers and technology companies. The potential associated with the innovative project has been significant, both from an environmental and economic point of view, due to the production of high added value materials (Co and Cu structured nano) from waste. The structured nano-metallic cobalt can, in fact, be used in digital recording devices and in electromechanical microsystems (MEMS). The nano-metallic cobalt particles are also used for the manufacture of high mechanical strength materials such as tungsten carbide of industrial mills and shredders. As far as metallic cobalt is concerned, it is also a catalyst widely used by oil companies; more generally, the structured nano can be used, with better performances, in all the applications in which its analogous microstructured is used. A similar argument is associated with the production of nanostructured copper, a material that can be widely used wherever formidable conductive capacities are required, from printed circuits to the latest generation photovoltaic modules. Eco Recycling in collaboration with the HTR center (High Tech Recycling, Department of Chemistry of the "La Sapienza" University of Rome) participated in a technology transfer project co-financed by Regione Lazio and named Photorec (2010-2012), for the development of an innovative process to treat the end-of-life photovoltaic panels. This process has been developed on experience gained by researchers and technicians on studying of hydrometallurgical techniques (leaching, precipitation and recovery through electrolysis or calcination) and mechanical, physical, chemical operations, in order to obtain the PVP materials recovery. This recovery is possible through a series of operations (grinding, sieving, magnetic separation, eddy current separation, gravimetric separation) that prepare the feed for the hydrometallurgical section and allow the physical separation of valuable materials. The most important aspect of the innovative hydrometallurgical process was the dissolution of III and IV periodic system groups’ oxide by acid or basic leaching, and the electrolytic recovery of Ga, In, Te. As an alternative to the electrolytic process, the metals are recovered in the form of oxide, through precipitation or calcination. A series of laboratory scale tests and the process simulations have been done to assess the recovery way cheaper than between the possible ones (electrochemistry or precipitation). Eco Recycling has received funding from the MIUR (Ministry of Education, University and Research) as part of the Research Facilitation Fund (FAR) with the aim of creating a demonstration pilot plant for the recovery of Zinc and Manganese from batteries at the end of life, based on the patented process and for the implementation of a research project for the extension of this process to the treatment of other types of batteries, catalysts and WEEE. The objective of this research was the development of three different processes for the recovery of metals from the waste through the use of hydrometallurgical techniques. • Processes for the recovery of base metals from WEEE (eg Yttrium and Zinc from cathode ray tubes (CRT) of televisions and PCs and Yttrium from fluorescent lamps). The industrial research phase was realized with the construction of a demonstration pilot plant, located at the SEVAL srl of Colico (LC), for the recovery of Zinc and Manganese from batteries at the end of life, based on the process covered by a European patent.